Serra Manufacturing Corporation developed this stainless steel stamping project for our customer in the medical industry. This flat stainless steel washer is made from 17-7 PH stainless steel which features superior mechanical properties and corrosion resistance, ideally suited for medical use. The washer is .016" thick with a .31" outer diameter. The tightest dimensional tolerances met on this project are ±.004". 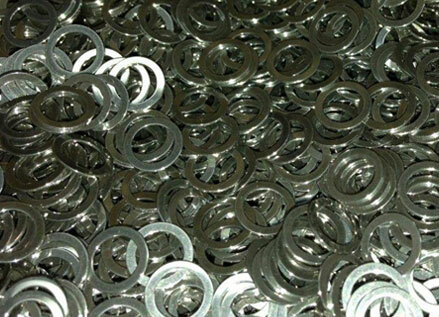 The washers are stamped and deburred before being coated with passivation coating for improved sanitation purposes, then polished to a 2B bright finish. This product demonstrates our ability to economically produce very high volume specialty parts. 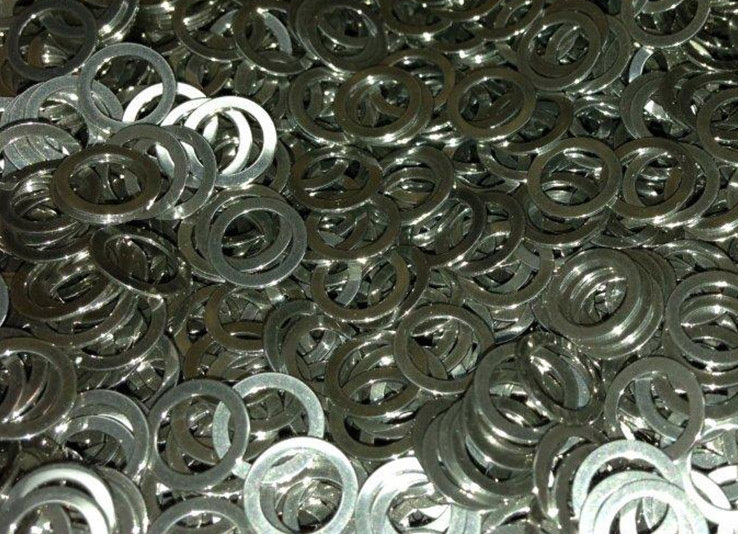 We manufacture over 1 million of these washers per year and deliver to our customer based on provided forecasts. 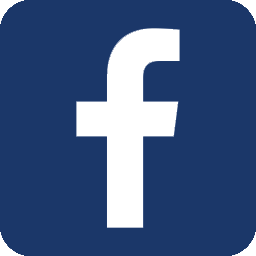 We not only have extensive stamping, fabrication, and machining capabilities, our packaging and shipping department provides customers with custom supply chain management solutions. We offer EDI shipping capabilities and JIT delivery services. For more information about this stainless steel stamping project, see the table below, or contact us directly. Outside Diameter: Ø 0.308 / 0.312"
Inside Diameter: Ø 0.216 / 0.222"